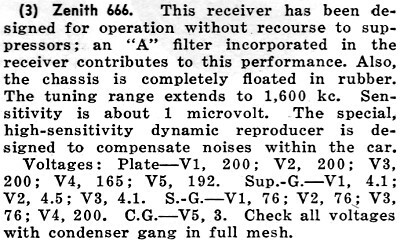 Zenith 666: This receiver has been designed for operation without recourse to suppressors; an "A" filter incorporated in the receiver contributes to this performance. Also, the chassis is completely floated in rubber. The tuning range extends to 1,600 kc. 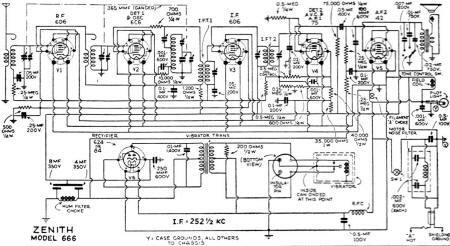 Sensitivity is about 1 microvolt. 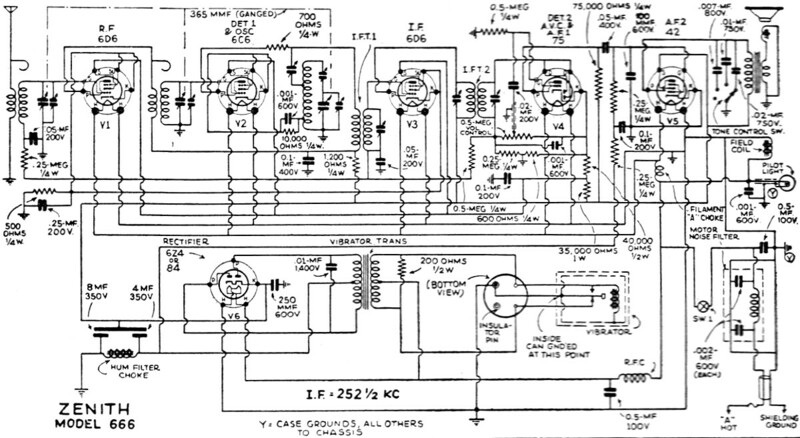 The special, high-sensitivity dynamic reproducer is designed to compensate noises within the car. 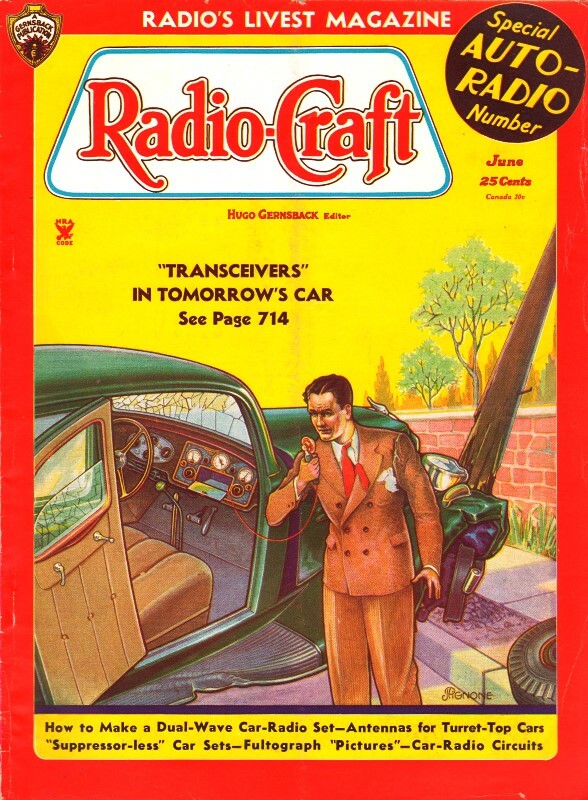 Remarkable improvements in car sets are indicated these diagrams of the new automotive radio receivers shown on the preceding page.